We have been witnessing an explosion of user involvement in knowledge creation, publication and access both from within and between organisations. This is partly due to the widespread adoption of Web technology. But, it also introduces new challenges for knowledge engineers, who have to find suitable ways for sharing and integrating all this knowledge in meaningful chunks. 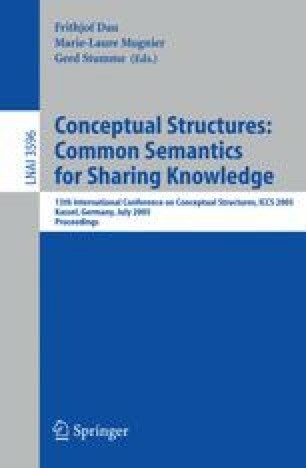 In this paper we are exposing our experiences in using two technologies for capturing, representing and modelling semantic integration that are relatively unknown to the integration practitioners: Information Flow and Formal Concept Analysis.